Now comes the fun part. You get to go shopping for your new money saving/making pool pump. Which one should you buy though? Don't worry, I can help you with that. The pumps listed here are all Energy Star Certified. In fact, Pentair/Sta-Rite is the only company on this planet to win Energy Star Partner of the Year 4 years in a row. Companies like Apple, Samsung and LG do not have this esteemed award under their belt consecutively like Pentair does. That says a lot. Make sure the pump you buy has the "Energy Star" sticker on it. If not, you're wasting money. That's a tough question that is really difficult to answer over the internet. There is a lot to consider before installing a pump. 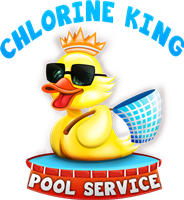 The best thing you can do is have someone like Chlorine King Pool Service come out to see what would be the best fit for your application. Here are a few models that we have had huge successes with our clients. This is the flagship pump line for Pentair and is the most efficient of their pumps too. The work extremely well with their automation and has the most capability as far as settings go. Super quiet, moves water and comes in a ton of different models for any set up. If you don't need the 3HP it delivers they have the I1 and I2 (1HP and 2HP respectively) to accommodate less flow requirements. One model of IntelliFlo also has the VS + SVRS which is a safety feature to prevent entrapment on drain covers or vacuum lines. This is another phenomenal choice for a variable speed pump. The great thing about this pump is that it can run off of either 120v or 240v set ups. It automatically chooses the right set up. No more fried motors from incorrect installations! It does include unions which are really nice for removing the wet end easily. It has a few less settings (schedules) than the bigger brother and works well with either 1.5" or 2" plumbing. If you don't have a lot going in the way of water features, automation or the like then this is the pump for you. 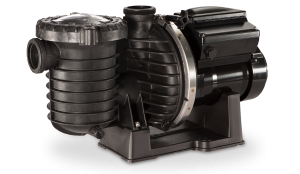 This is Sta-Rite's flagship line of variable speed pumps that share a lot in common with Pentair's IntelliFlo. All the electronics are the same including the settings and schedules. The main differences are obviously the color, but also this pump comes with unions and the pump comes apart just like their single speed Dura-Glass counterpart. This allows for super easy maintenance like cleaning out the impeller. You can't go wrong with this one. It also has a VS + SVRS model. This is the SuperMax VS pump by Sta-Rite. With the exception of the color this is 100% identical to the Pentair SuperFlo VS. This pump comes off of the same exact assembly line. It comes with the great features like unions and super simple interface. It also comes in the fixed 1.5HP flavor like the SuperFlo. The only other difference is on the panel instead of saying "Pentair" it says "Sta-Rite". You can find their entire line of pumps by checking out this link! Now that you have this new fancy pump make sure you choose someone licensed to make sure your pump is installed correctly and set up to save you the most money. On top of all of the important things about a licensed contractor (such as insurance, knowledge, etc) it will also ensure that your warranty is in good standing. It is on the condition you have a "qualified" i.e. 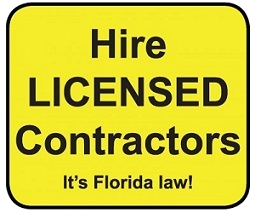 "licensed" professional to install your equipment. If not you'll be lucky to get a 30 day warranty if installed by someone who is not licensed. You can rest assured knowing that Chlorine King Pool Service is a Certified Licensed Pool & Spa Contractor (CPC1458983) here in Florida! We are able to extend a minimum of a 2 year warranty with any of the variable speed pumps we install. Some are even 3 years. That's coverage that is worth paying for!